Everyone knows the legend Bruce Lee, as he is famous for his high skills in Martial Arts. 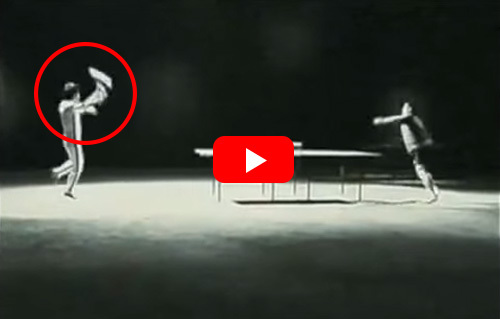 We Recently discovered an awesome video of Bruce Lee participating in a game of Ping Pong. However, we all know Bruce he wouldn't play this game without a fight. Faster than the speed of lighting Bruce easily masters the game and destroys the opponents on the battlefield. Ferociously using nothing but his Nanchakus he dominates the ping pong game, it is simply amazing. Do you think you would stand a chance against this legend?